Holland America pays tribute to "The King of the Blues" with its B.B. King's Blues Club experience. 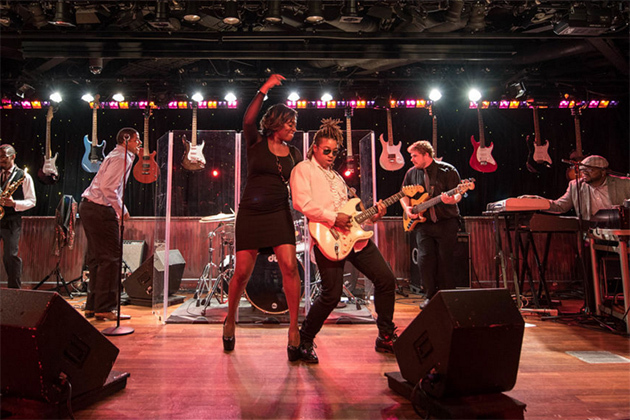 Inspired by the music of the legendary club on Beale Street in Memphis, the high-energy show occurs on most nights and at multiple times -- so you never have to worry about missing the main theater entertainment. 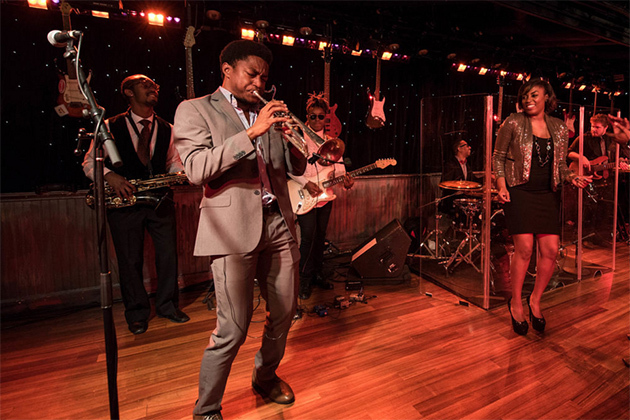 B.B King's Blues Club on Holland America is a musical experience that takes place in the Queen's Lounge six nights per week. An eight-man band (two vocalists backed by a drummer, bassist, guitarist, saxophone player, trumpeter and organist) plays a variety of blues tunes and rock 'n' roll, ranging from fast and funky to slow and soulful. During the roughly 45-minute performances, passengers take over the dance floor and are encouraged to sing along with hits like Aretha Franklin's "Respect." 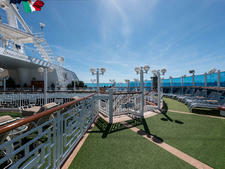 It's not uncommon for people to attend more than one show per cruise. There is no cover charge for the B.B. King's Blues Club experience, though alcoholic beverages will cost you. See photos of the B.B. King's Blues Club on Holland America's Noordam.